Many users installs Custom roms , Updates manually without knowing the bugs ,having bootloops , bricked device . This guide will teach , How to restore your previous Official Android 4.4.4 Kitkat version on Moto G 2014 . This guide will work on Moto G 2014 XT1068 dual sim Only . This guide will also help the ones who have upgraded to Lollipop and want to downgrade it to Kitkat . Step 1. Enable USB debugging and RSA Key should be allowed . Step 2. 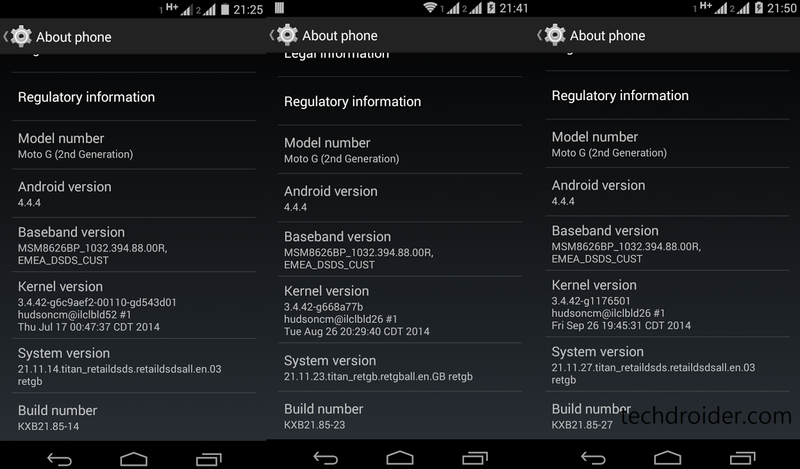 Download the Android 4.4.4 Kitkat package from below . Step 3. Extract the zip to your Laptop / PC . Step 4. Plug your Moto G 2014 via USB cable to your PC . Step 5. Run the Auto Restore Script ( You will get the file in the downloaded zip below ) . The fist link is not working.